MORE than 350 pupils and their families from two elementary public schools in the hinterlands of Duangan, Pinamungajan planted 3,500 seedlings in a community-based tree-planting activity recently. Village chieftain Annette Navarro led barangay officials and teachers of Duangan Elementary School and Guimbawian Elementary School in joining the pupils’ families as they planted various trees. 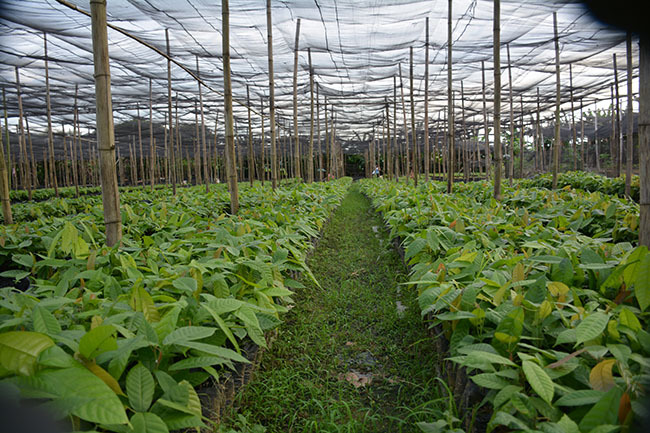 These included acacia, acacia auri, caimito, lanutan, lomboy, mahogany, molave, narra and tagilomboy, said Mitzie Almira I. Carin, a division manager of Solid Earth Development Corp. (SEDC) that provided the seedlings. SEDC organized the tree-planting in the area, as it will further undertake more, preparatory to its eventual operations of some quarries to provide raw materials for cement manufacturing at the plant of Taiheiyo Cement Philippines Inc. It had also undertaken various medical missions for local residents since 2013.